When their 10-year-old daughter Laura was diagnosed with leukemia, Robert Graves, D.V.M., and his wife Sherry were ready to do anything they could to save her. Desperate to save her life they turned to alternative treatment options and agreed to try the first ever bone marrow transplant from an unrelated donor. Laura received her transplant in 1979. And it worked. The success of the treatment inspired the Graves to give other families the same hope for a cure. Thanks to Dr. Graves, other patient families, doctors, congressional support and funding from the U.S. Navy, a national registry of volunteers willing to donate bone marrow was born. Be The Match is a nonprofit organization that’s dedicated to helping every patient get the life-saving transplant they need. As trusted leaders in advancing treatments for those facing life-threatening blood cancers, they provide the ground-breaking research, innovative technologies, patient support and education that save lives. Be the Match is operated by the National Marrow Donor Program. 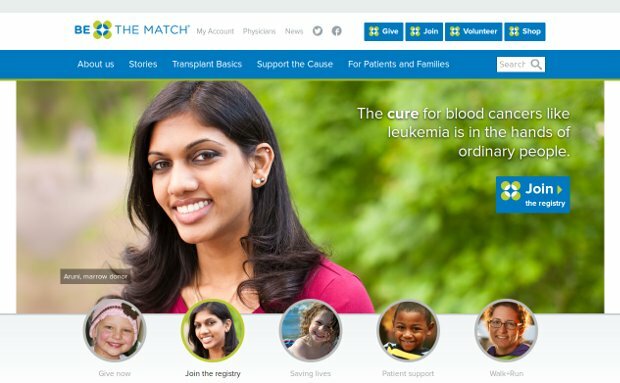 It is dedicated to connecting bone marrow and cord blood donors with potential matches. Its programs include education for patients and families, helping people get registered in the National Marrow Donor Program, and raising funds to help transplant patients. While Be the Match has been quietly working for the last 25 years, they recently got national attention when Cameron Lyle, a 21-year old college athlete cut his career short to donate bone marrow and was featured on Good Morning America.